What an amazing week! Huge thank you to all of the participating organizations and community members who took the time to create wonderful memories with their families and friends. Every day is a perfect day to Take the time, make the moments matter™. 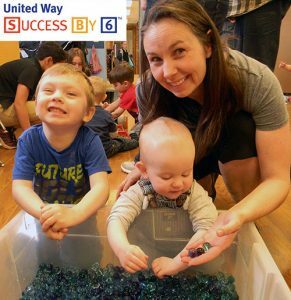 Success By 6 Week is a fun-filled week of over 110 free activities designed with the youngest members of our community in mind. The week provides a wonderful opportunity to have simple family fun. From Touch the Trucks, swimming, music making and much more it is a week that enriches the lives of all involved! What is Success By 6? We’ve got Posters! Download PDF posters to promote the week or customize the editable ones for your specific location. We hope you have an amazing week with your little ones!